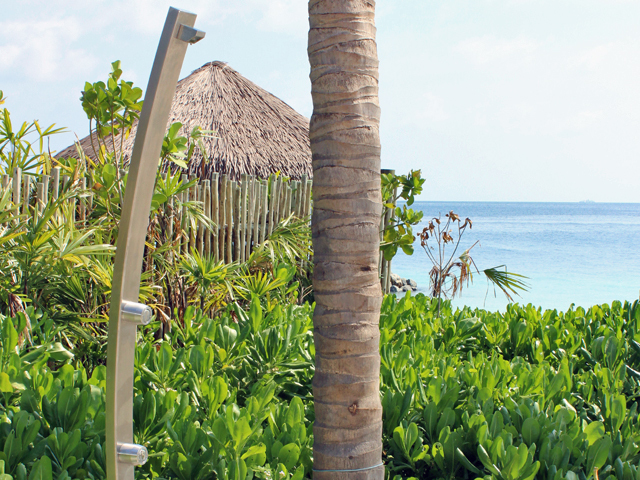 When Rainware’s Australian outdoor shower products first caught the attention of the overseas market, they could not have imagined their 14-year pursuit of excellence would take them right to the heart of the Maldives. A billion tonnes of rock shipped from India has been transformed into the private Waldorf Astoria Ithaafushi Island Resort in the Maldives. Rainware was commissioned to supply their beautiful resort showers to grace the private beaches of this new world-class resort. 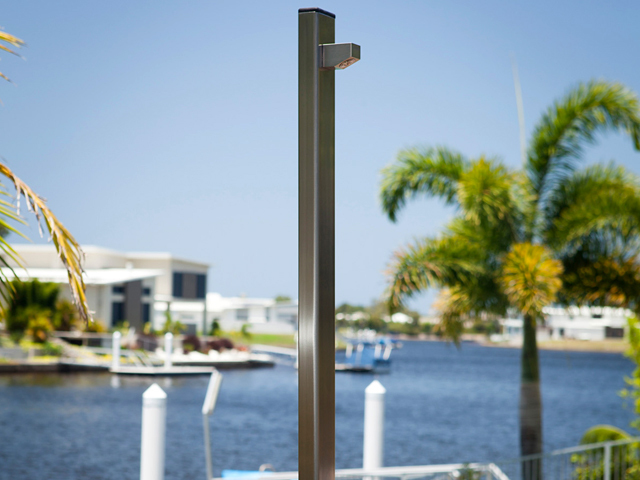 The family-owned Australian manufacturing company is best known for their (316) marine grade outdoor showers, in particular, the elegantly curved Noosa Outdoor Shower. When Bowen Shire Council in North Queensland asked for something commercial but resort-like in appearance, their Noosa shower range naturally sprang to mind and became the inspiration for a hybrid design between a domestic and commercial product. 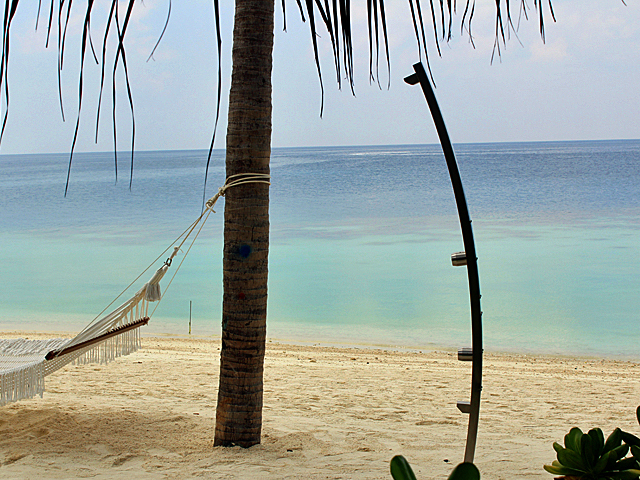 With this, a gap in the market was filled and the Beach Aquiline was born, opening up major opportunities in the resort sector. 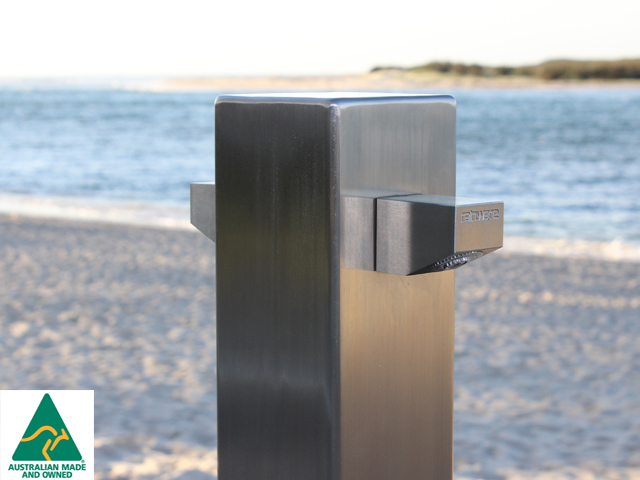 With the success of the Aquiline in Bowen, tried and tested now for three years in-situ, it has become the latest in sought-after product for beach areas and resorts worldwide. 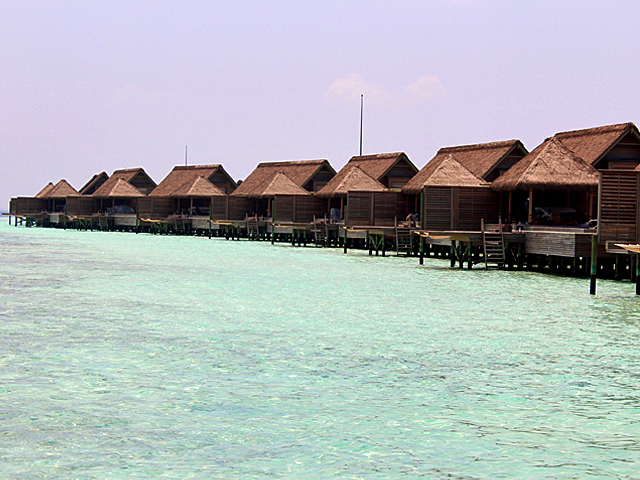 In their biggest international major project, Rainware has supplied a large number of these particular units to the Ithaafushi Island Resort, soon to be handed over to the Hilton Group to open in June 2019 and labelled "The Finest Resort in the World”. With all the hallmarks of the Rainware ethos, including WELS rating for water efficiency and exclusive 10-year OUTDOOR warranty, it is no surprise that this product has caught the attention of overseas resorts. Recent supply of showers into other resorts from Mexico, Fiji and Dubai has seen Rainware’s vision of a world-class product become reality – a culmination of excellence meets opportunity! 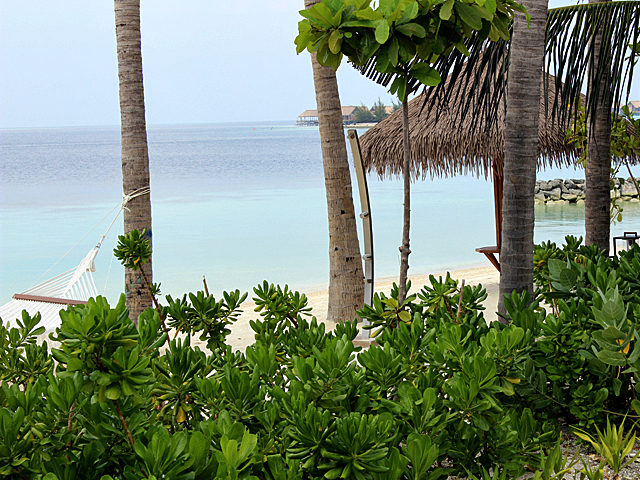 Last month on a recent trip to the Maldives, Steve and Mike from Rainware made a personal visit to the resort to inspect and instruct the resort's housekeeping team on maintenance and cleaning of the Rainware product. “A big ‘thank you’ goes out to the team at Ithaafushi for their warm welcome and hospitality,” said company owner Steve Gowlett. This meeting not only provided an opportunity to personalise the relationship between the two companies, but it has also enabled further product specification for Rainware, who has been tested to success and won the last leg of the build, a superior project called Island 'C'. 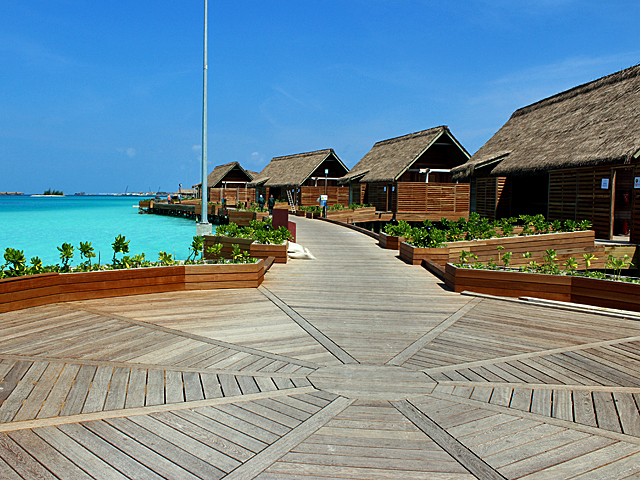 Island 'C' is the epitome of luxurious island living, the jewel in the crown of Waldorf Astoria. 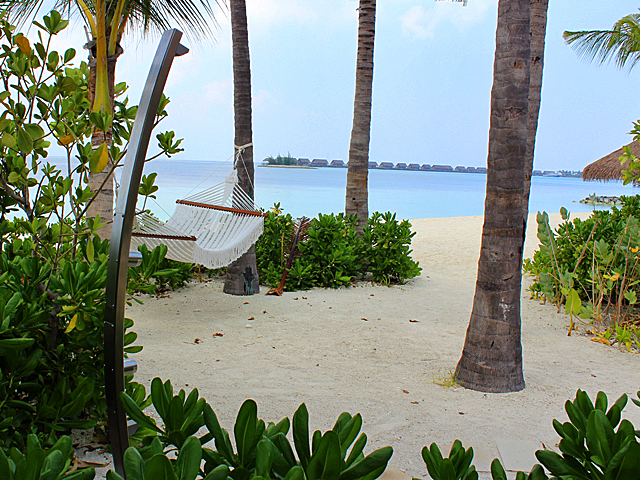 Royal villas on a miniature island located at the end of the atoll in their own private enclave provide an exclusive and isolated sanctuary away from the main resort, with an in-house chef catering to private parties of a maximum of 18 guests. This island is a place of pure Indulgence with its own private infinity pool that perfectly matches Rainware's next-level resort showers from the Outdoor Shower company's opulent Al Fresco range. For more information on Rainware's range of outdoor shower products, contact them via the links below.